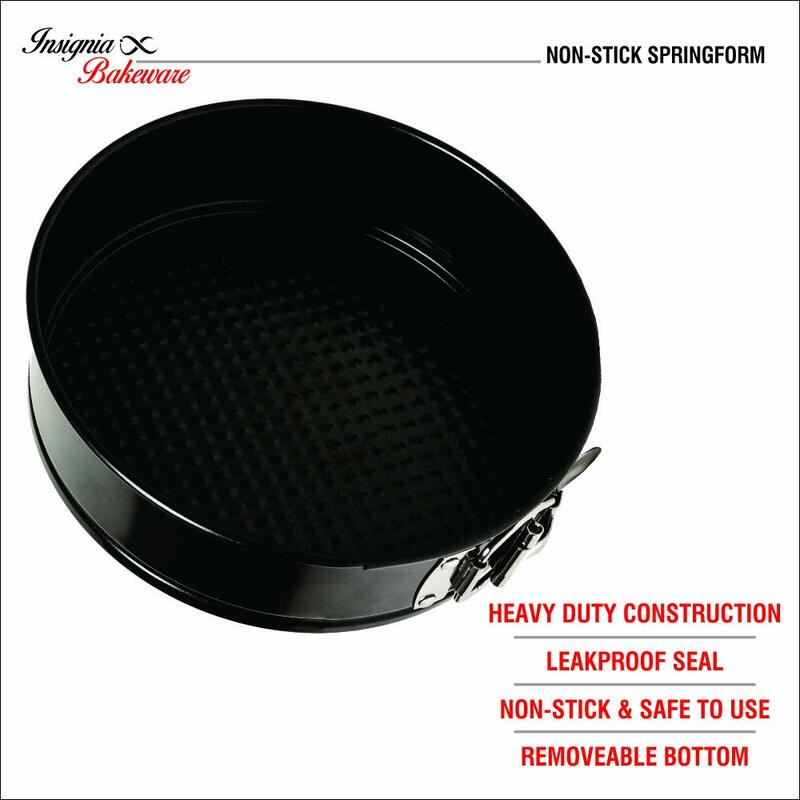 HEAVY DUTY CONSTRUCTION: Insignia Bakeware Non-stick Springform Cheesecake pan is made using the highest quality steel that is both durable and resistant to corrosion to provide you with years of reliable use. Thanks to the heavy gauge steel construction and 7-inch size it can easily handle high temperatures and fits perfectly in for 6Qt or 8Qt instant pot pressure cookers. 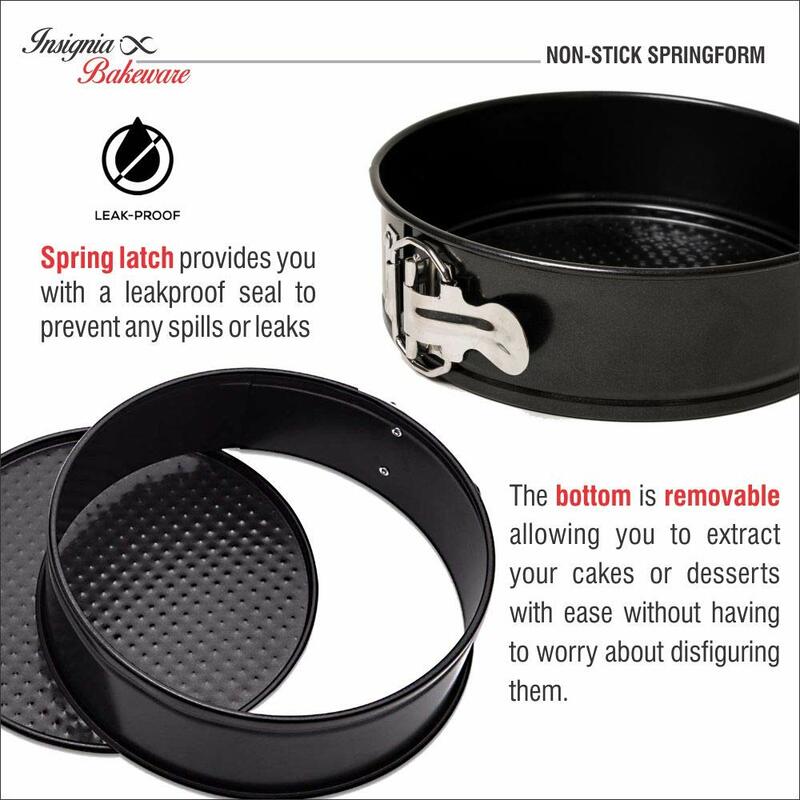 LEAKPROOF SEAL: This 7" springform pan helps you make delicious desserts the easy way. 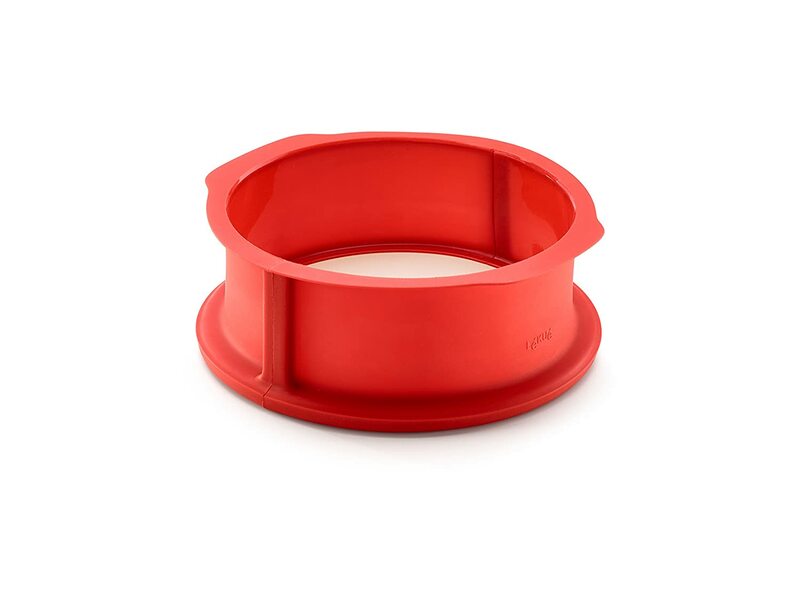 Thanks to the spring latch our instant pot cheesecake pan provides you with a leakproof seal to prevent any spills or leaks so that you can cook anything you want without worrying about making a mess. 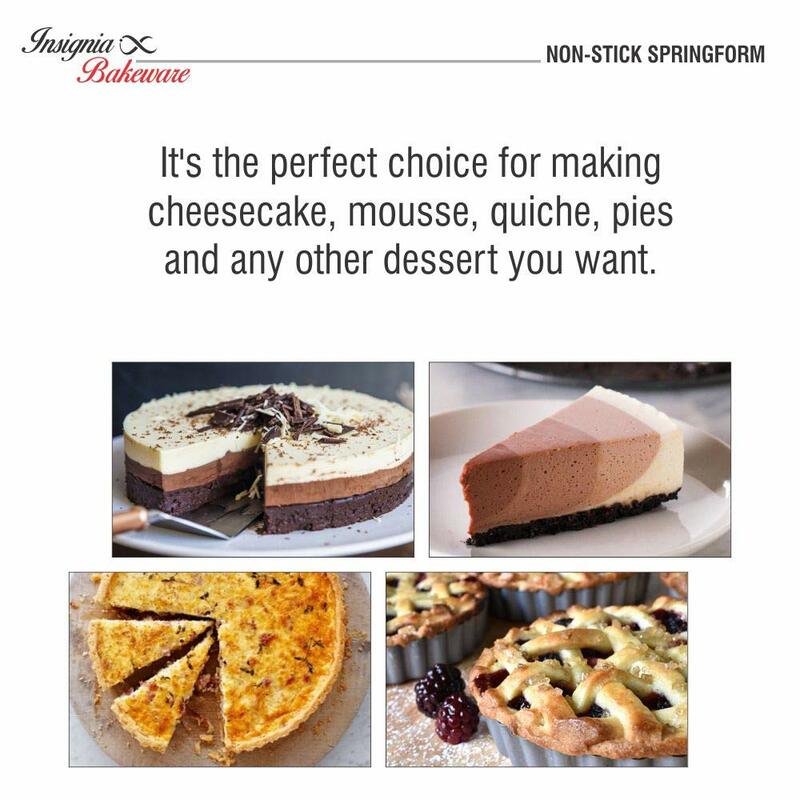 It’s the perfect choice for making cheesecake, mousse, quiche, pies and any other dessert you want. 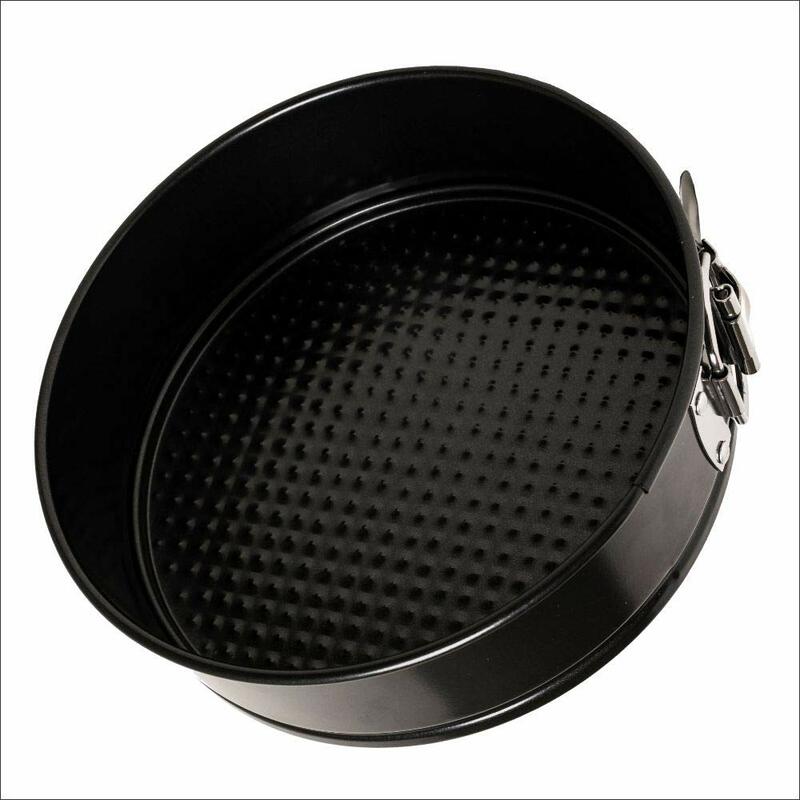 REMOVEABLE BOTTOM: The bottom of our Non-stick Springform Pan is removable allowing you to extract your cakes or desserts with ease without having to worry about disfiguring them. To make sure the anti-stick coating lasts don’t wash it in dishwashers or using anything sharp. Simply handwash with mild detergent to protect the non-stick coating. 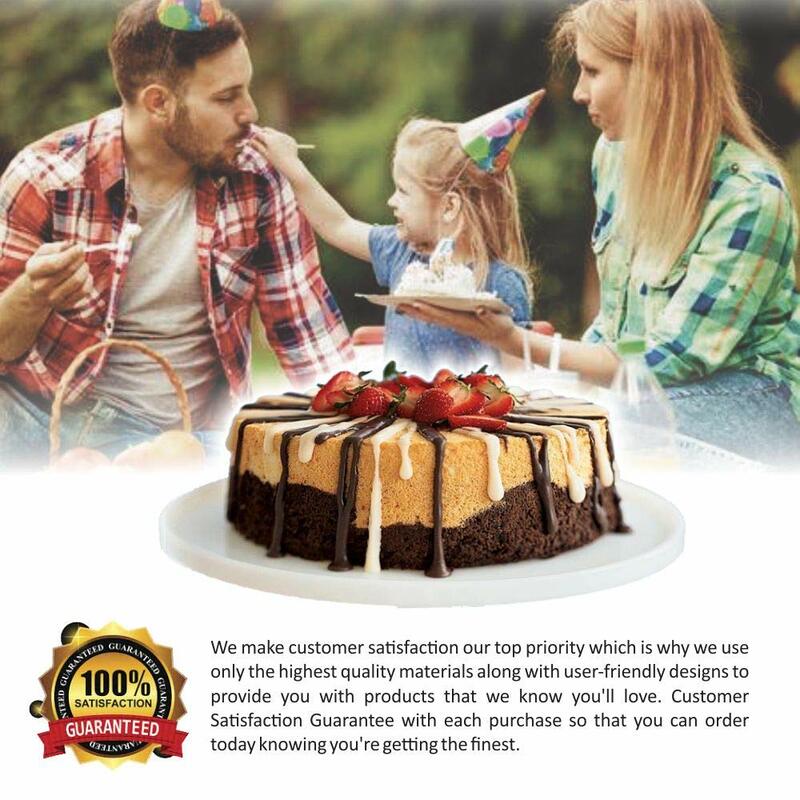 100% SATISFACTION GUARANTEE: We make customer satisfaction our top priority which is why we use only the highest quality materials along with user-friendly designs to provide you with products that we know you’ll love. This is why we offer a 30 Day Customer Satisfaction Guarantee with each purchase so that you can order today knowing you’re getting the finest. 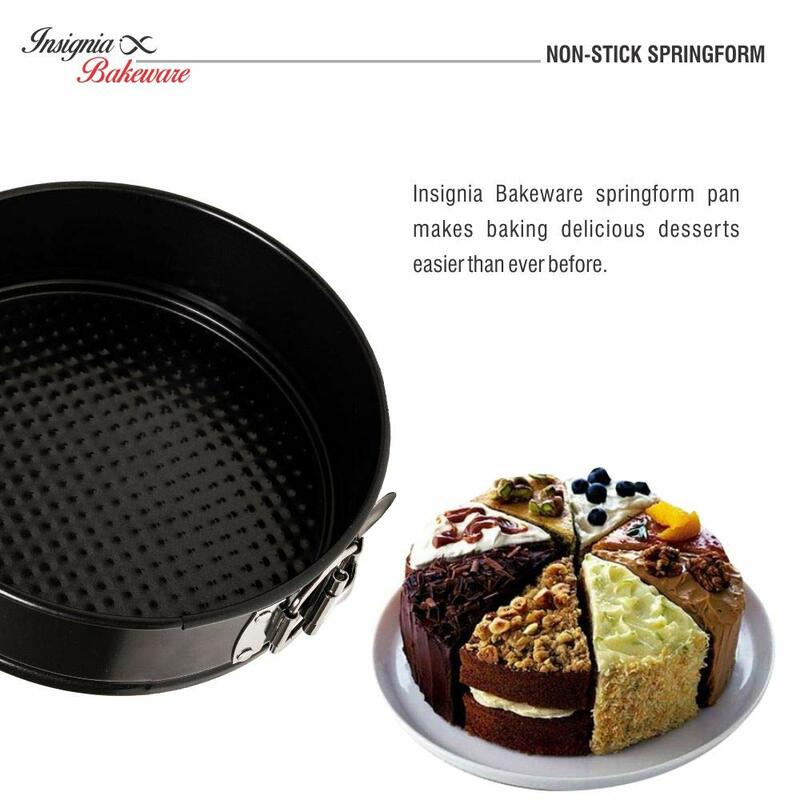 Insignia springform pan makes baking delicious desserts easier than ever before. 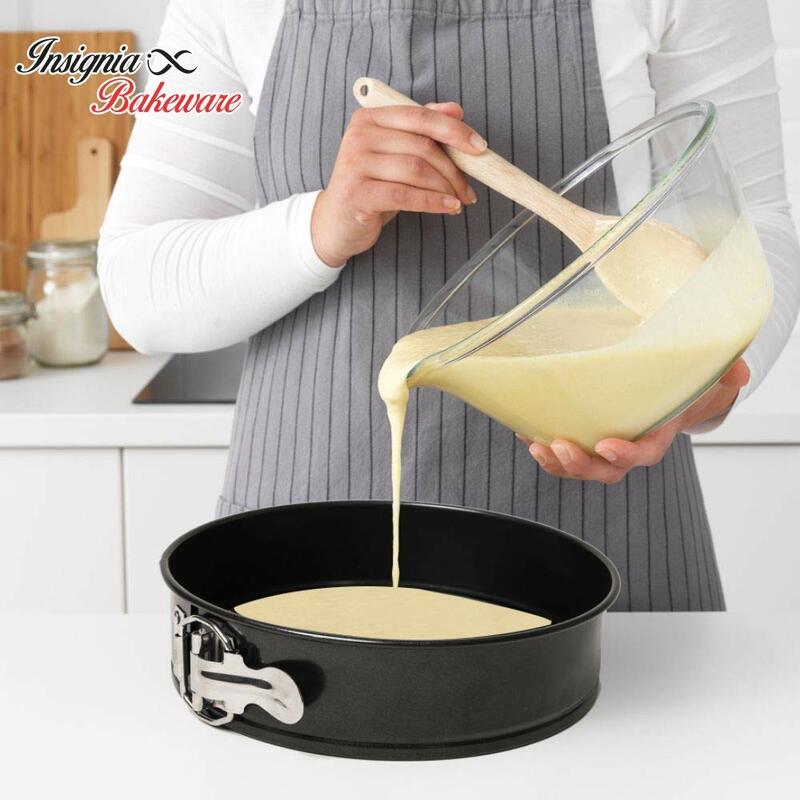 We all know how hard it can be to take a cake out of a pan once it’s done baking without messing up which is why we designed this Leakproof Round Cheesecake pan to help you remove your cake without having to touch it! 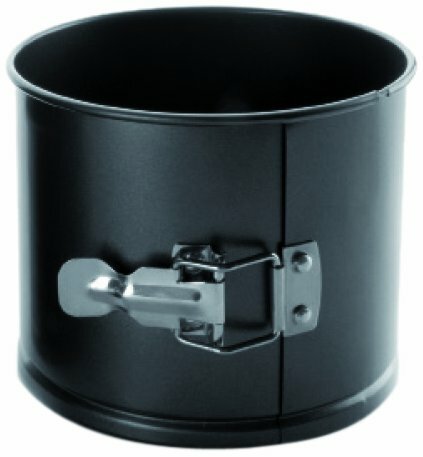 The leakproof spring latch opens up easily to let you remove the pan and the removable bottom lets you extract it with ease making this a must-have for any kitchen. 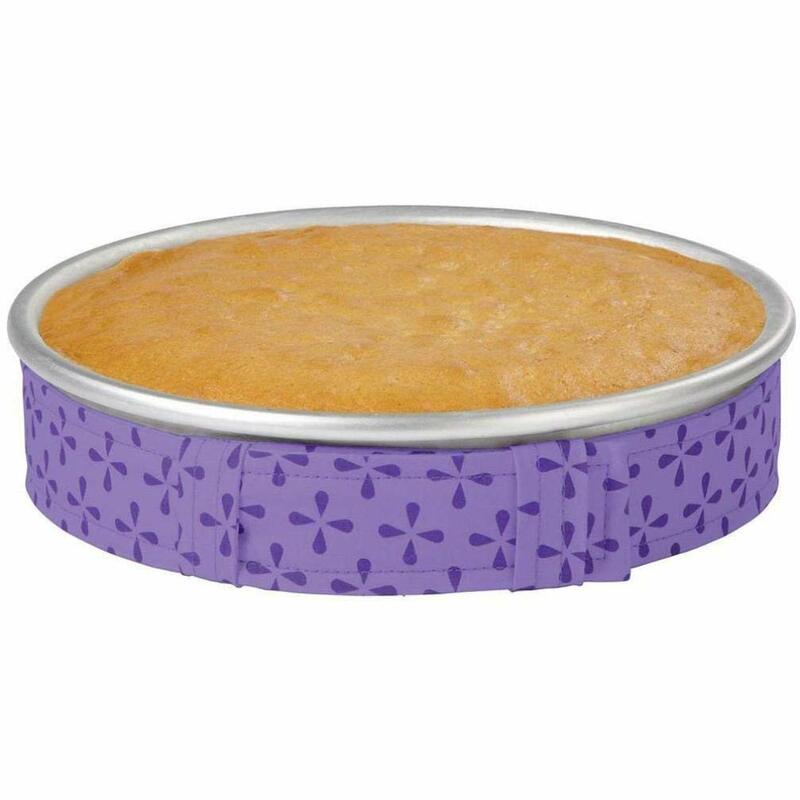 Thanks to the non-stick coating you can simply get right to baking your cake without having to flour it while making sure your cake comes out perfectly intact. 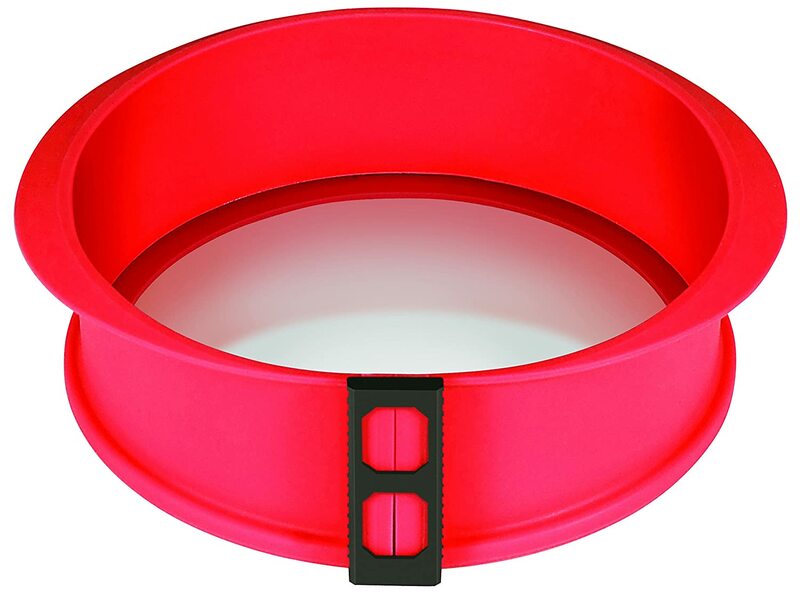 It’s made using high-quality steel that is both non-toxic and BPA Free as well as being durable enough to provide you with long-term use. 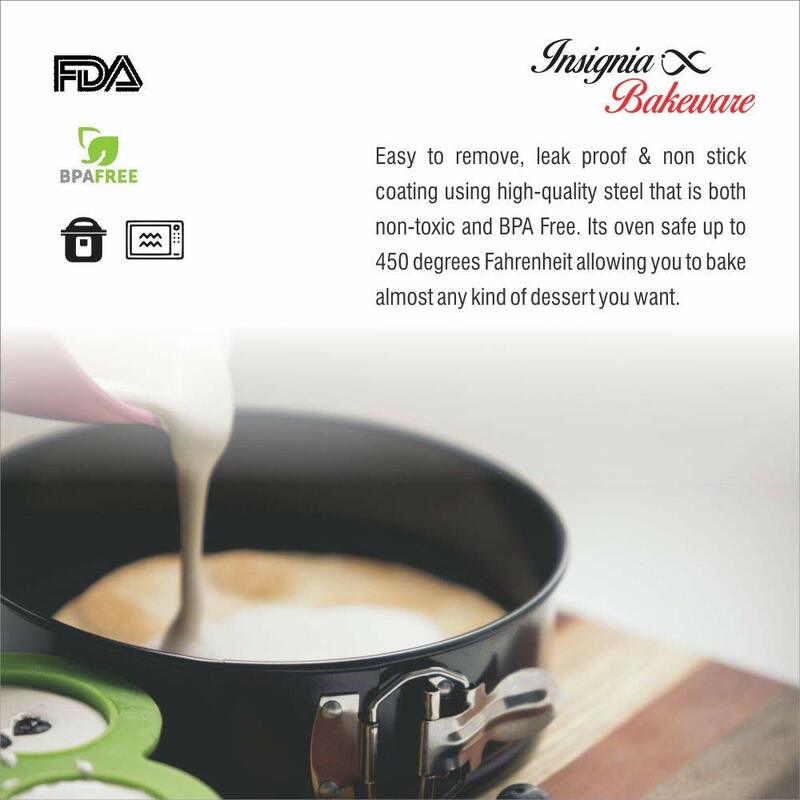 Its oven safe up to 450 degrees Fahrenheit allowing you to bake almost any kind of dessert you want. Click on the “Add To Cart” button now to order today and make baking simpler and easier with Insignia non-stick springform pan.